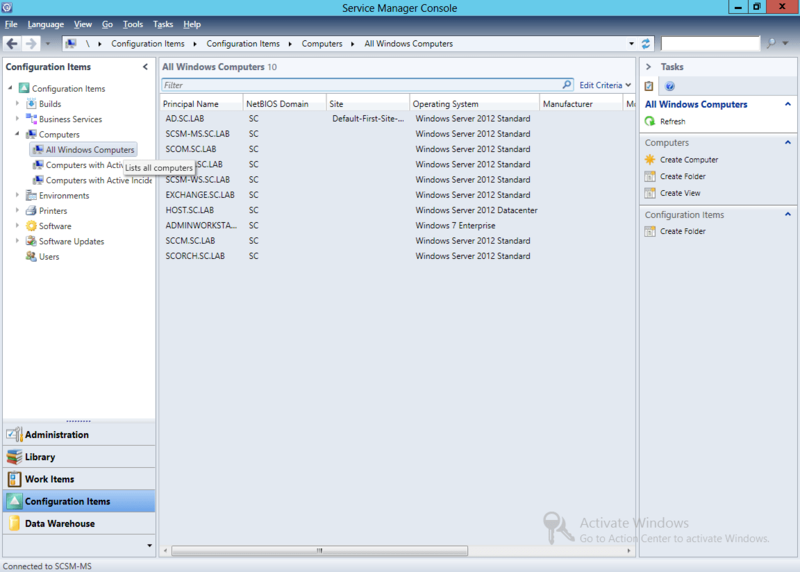 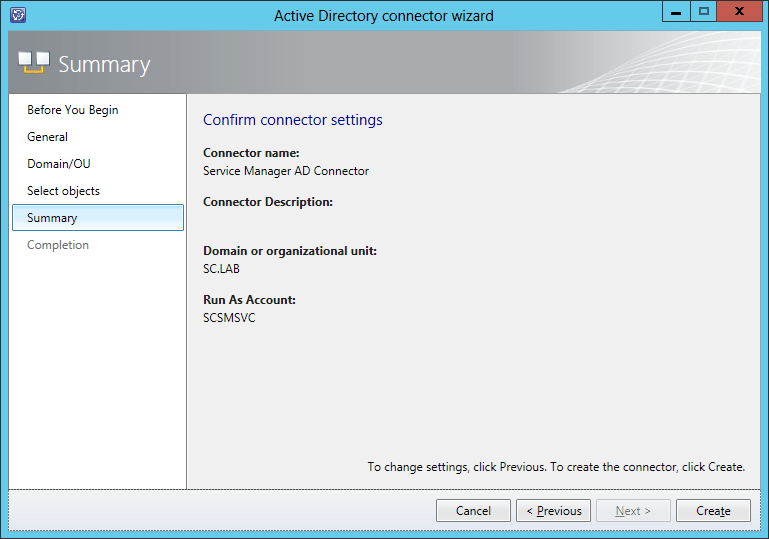 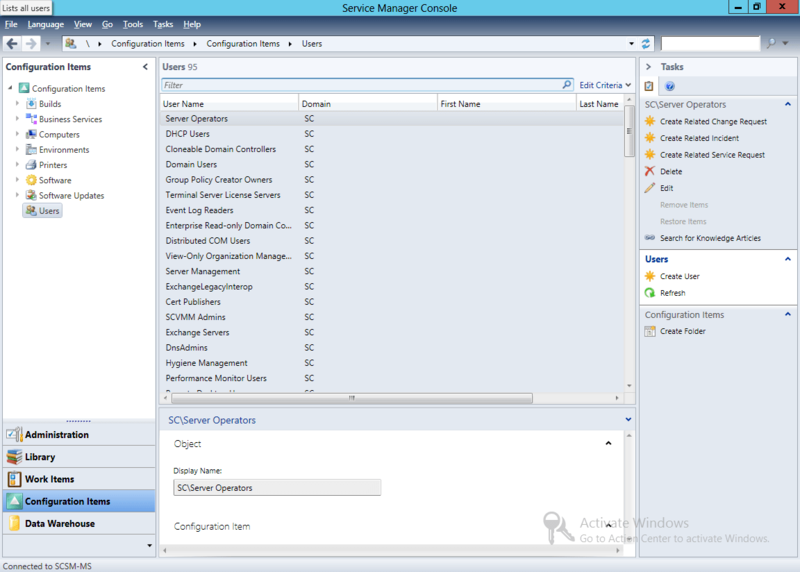 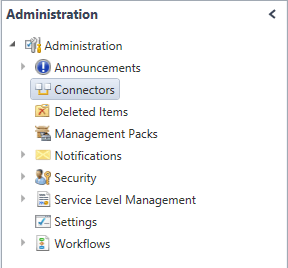 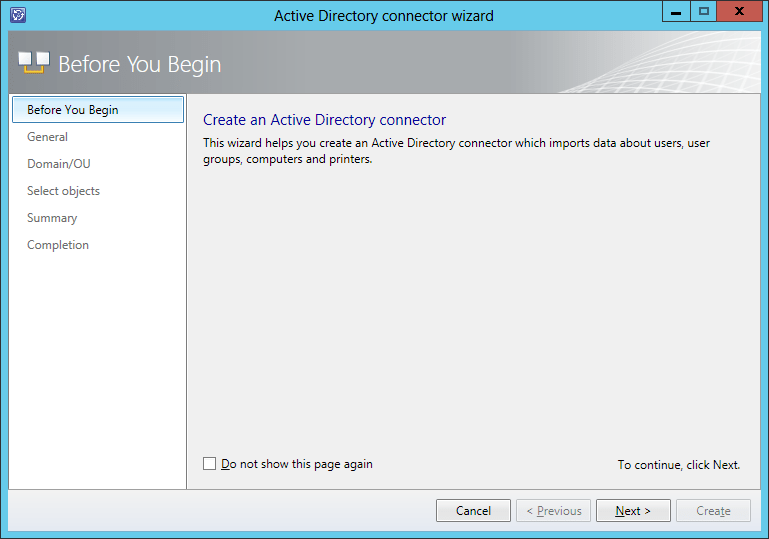 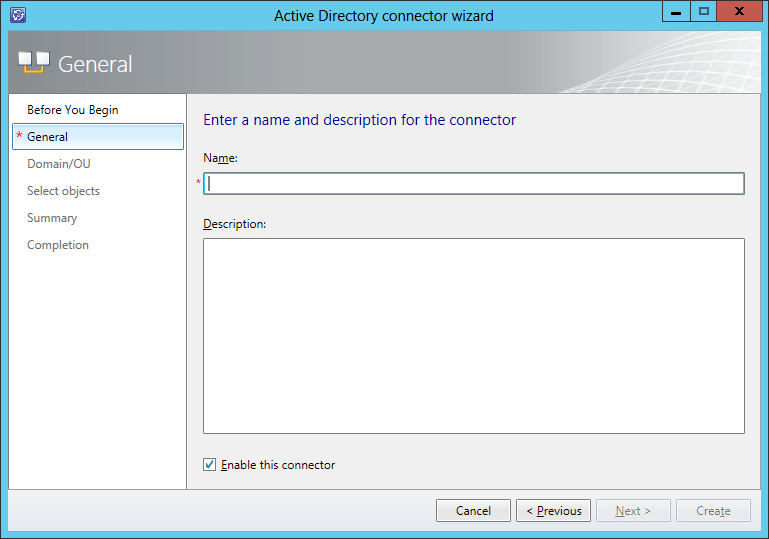 Now we are going to configure the Active Directory (AD) connector to Service Manager. 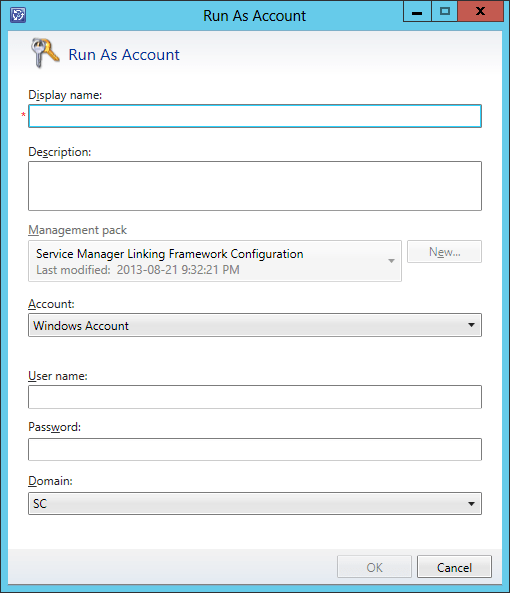 On the Domain or organizational unit page, select Use the domain: <domain name>. 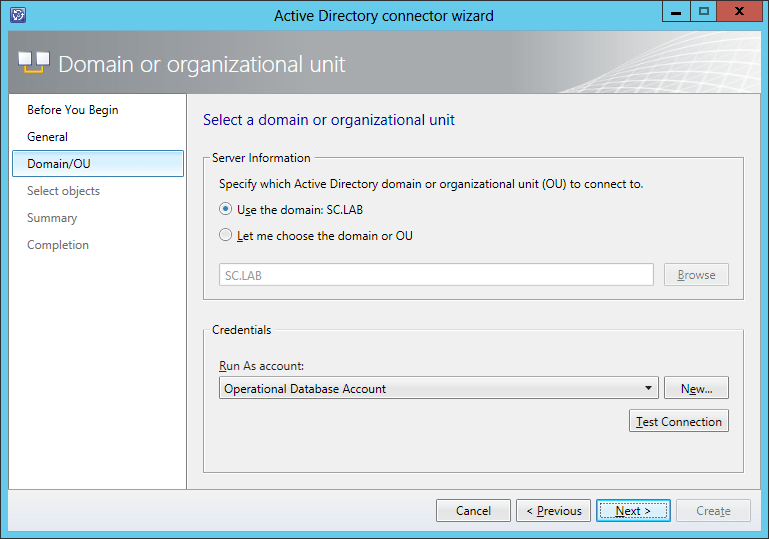 Or, select Let me choose the domain or OU, and then click Browse to choose a domain or an organizational unit (OU) in your environment. 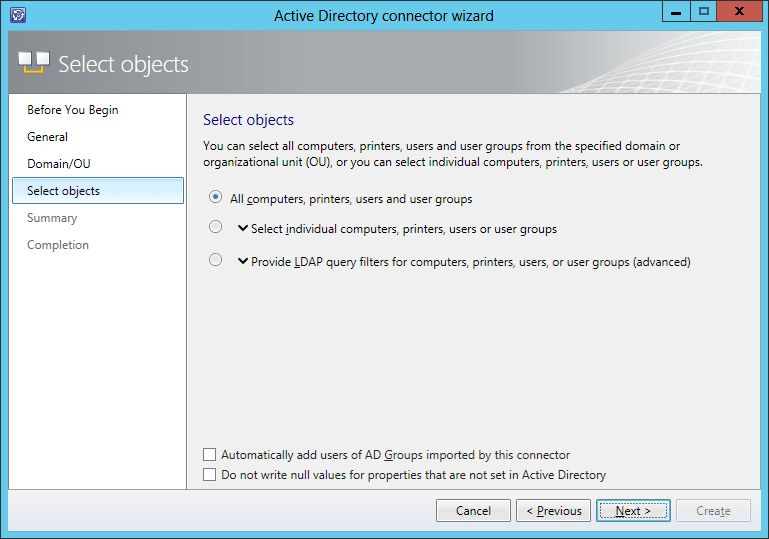 Select All computers, printers, users, and user groups to import all items or, Select Select individual computers, printers, users or user groups to import only the selected items or, Select Provide LDAP query filters for computers, printers, users, or user groups if you want to create your own Lightweight Directory Access Protocol (LDAP) query. 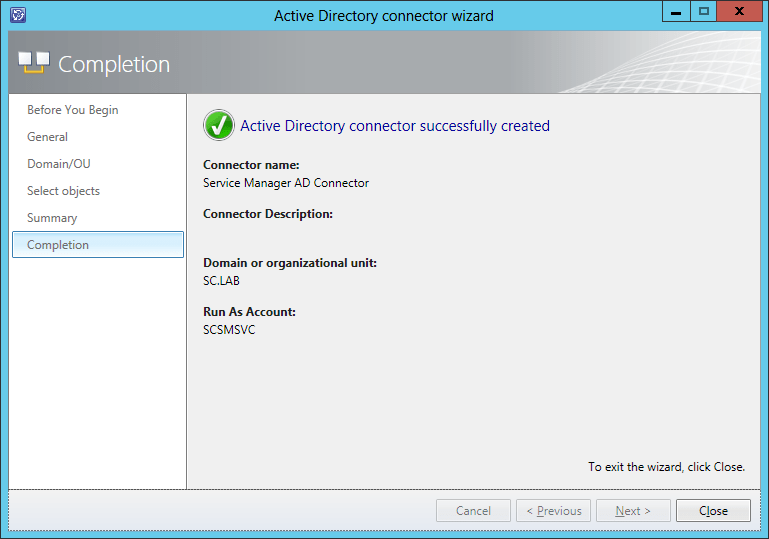 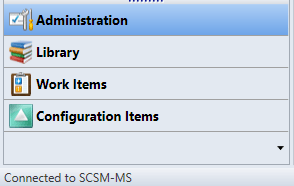 On the Completion page, make sure that you receive the following confirmation message: “Active Directory connector successfully created.” Then, click Close.